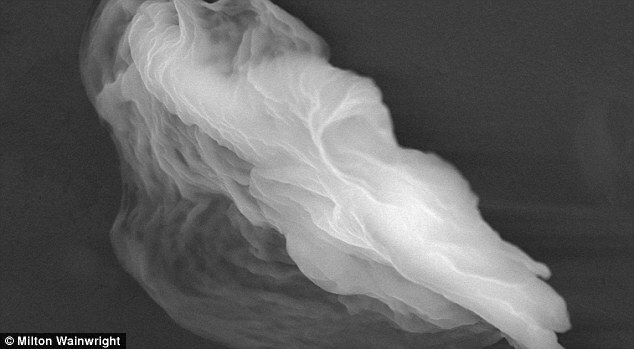 Organic ‘ghost particle’ harvested from the stratosphere. (Image credit: Milton Wainwright). Around 3.8 billion years ago life emerged on Earth, suddenly and seemingly out of nowhere. Exactly how life emerges from seemingly non-living material on planetary surfaces remains of the great mysteries of science, but there are some scientists that strongly suspect in our case, planet Earth may have had a helping hand from outer space. We are not talking about animals being dropped off by beings travelling the cosmos in their starcraft, at least mainstream scientists are largely avoiding discussing such a scenario in their papers (thus far). The current suspicion is more along the lines that comets, known to carry water and organic compounds required to form basic life, might deposit the required basic of life in planetary atmospheres as they pass by. The tails of comets are made up of small particles of evaporating material some of which is believed to be the fundamental organic molecules. Once pulled in by gravity it is possible that a viable planet may serve as the chemical factory in which this evolutionary rain ignites the process which brings about primitive life. A second branch of the Panspermia theory suggests that cosmic clouds of bacteria and viruses speared our gradually through the galaxy ‘contaminating’ planetary systems they reach. 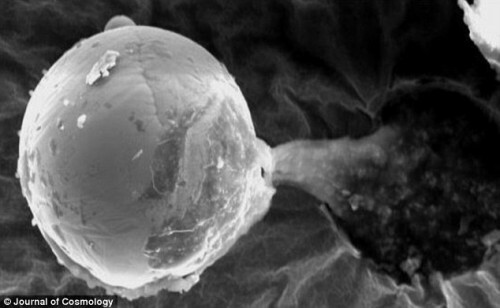 These micro-organisms are believed to be thrown up from the surfaces of planets, already housing primitive life, following significant meteoric impacts capable of causing material to be thrown up at escape velocities. Evidence of this has been found in ancient meteorites from our neighbouring world, Mars. 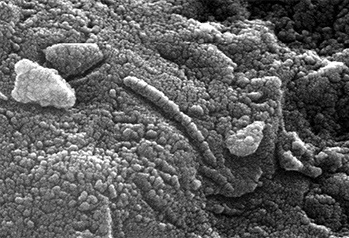 What appear to be fossilised organisms have been observed in Martian meteorites found preserved in ice cores collected on Earth. Professor Chandra Wickramasinghe was involved with the investigation of apparent bacteria fossils discovered within the Martian meteorites and has continuing looking for more evidence, largely this has been by collecting samples of material from the upper levels of Earth’s atmosphere, finding algae like organisms believed to have been deposited there by passing comets. Microscopic titanium metal orb containing organic goo. Found in upper atmosphere. (Image credit: Journal of Cosmology). Perhaps the most compelling evidence yet found came in the form of a bizarre metal titanium sphere about the width of a human hair, collected 16 miles above the surface of our planet. The anomalous object seemed to contain organic goo, the researchers suspected it might be some kind of colony of bacteria. 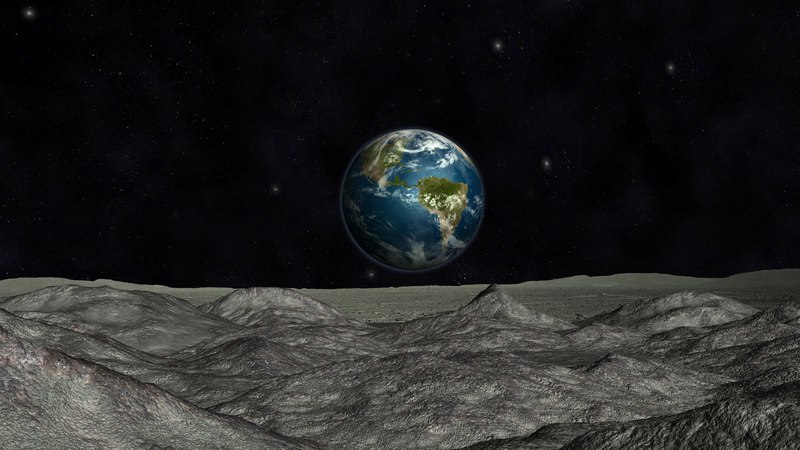 Some have gone further and suggested the sphere I evidence of a higher intelligence deliberately seeding primitive life out into the galaxy with the hope that it might encounter suitable planets to take root, one day evolving into intelligent forms such as human beings. The question then is, did we start our evolution here on Earth, or were our earliest ancestor’s cosmic immigrants?